Since 2014, American Glass Mosaics has turned ordinary spaces into elegant works of art with the highest quality glass mosaic tile in a vibrant array of colors and finishes. 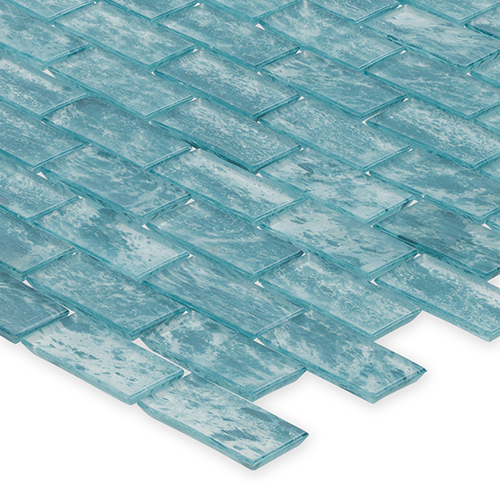 Our mission is to use 100% recycled glass and sustainable manufacturing techniques to beautify spaces where our customers live, work and play - all using glass tile manufactured and assembled in the America. We are still the only major glass mosaics factory in the USA. Overseas supply chains with long lead times, inconsistent reliability and inflexibility have dominated the US glass mosaic tile marketplace over the years. Because our products are made in America, we offer rapid and reliable response to inquiries, sample requests and production orders. Whether you choose from a variety of pre-defined styles or wish to create your own design, American Glass Mosaics can accommodate your wishes, turning your vision into a beautiful reality. Please visit Booth 3118 to review our exciting new collections!